Qmee review of earnings from 28 days of searches and surveys + tips! Here I present my review of the earnings made from searches and surveys during the study as well as my experience and tips. Qmee is free to use and anyone can join. Join now. Qmee is a website that allows you to earn small amounts of extra money by clicking on sponsored results in your search engine queries, coupon codes are also displayed. For extra cash you can answer surveys and refer friends. When using the service you continue to use Google or Yahoo as normal, it makes no difference to how you search. I decided to test the service for 4 weeks. I felt this was long enough to get reliable data. The aim was simple. To try and average 1 click per day on a sponsored search result, and answer 1 survey per week. I wanted to use the service completely naturally, that would mean not clicking every time I saw Qmee results, only when I wanted to. I have no desire to hack the system, this was a test to see what money could be made using the service in a normal way. My figures are in Pounds Sterling because I am in the UK, the service is also available in the USA in Dollars currency. Here is a table of the results from the test performed in January 2017. Below it is the explanation of the results as well as success tips based on my experience. 8th £0 Didn't go on PC. 11th £0 Only saw discount codes. 12th £0.14 2 clicks, and cashed out earnings. 13th £0 Didn't see any ads. 14th £0 Didn't see any ads. 15th £0 Didn't go on PC. 16th £0 Only saw coupon ads. 17th £0 Only saw coupon ads. 21st £0 Didn't go on PC. 25th £0 Hardly used Google all day. 29th £0 Only saw coupon codes. As you can see from the table I didn’t quite meet my hope of averaging one click per day. I did meet the target of averaging 1 survey per week. There was a day when 5 surveys were available so I tried them all and qualified for 4 of them which meant that target of the test was met quickly. 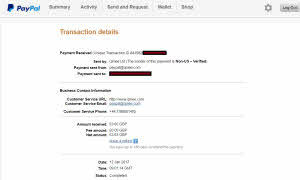 The total revenue from the 28 days was exactly £3.00. That doesn’t sound like a lot at all but I always calculate expected annual earnings because I am self-employed. That would bring in £36 per year. Which I will happily take for such minimal effort. If you want to do the same you can join now. Overall the test went well and I am pleased with the results. Some days I only saw discount codes and on a couple of days I saw no ads whatsoever. Funnily enough that happened immediately after a day when I’d clicked on two results and cashed out. It may have been a pure coincidence, or perhaps they check accounts in the days after they cashout. I’m not sure, either way the ads were soon showing again. I feel the result is decent enough. There were days when plenty of paid ads showed up but I chose not to click on them, I was sticking to one per day. There were also a few short surveys that I decided not to take. I also didn’t get any revenue from referring friends. This shows that I didn’t maximise the full potential earnings. With a few more clicks and a survey or two more per month I would expect to reach £50 per year profit from it. In no way did having the Qmee extension on my Google Chrome browser affect the browser performance. 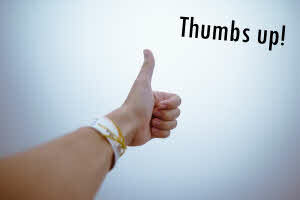 In fact I had no problems at all during the test. Now I’ve completed this test I plan to continue using Qmee as part of the drip method. Here is a list of tips for getting the most out of this opportunity. Search naturally. Throughout the case study I just did my natural searching. There are no specific search terms that I would recommend, do your natural behaviour and over time the results should consistently show up. Don’t go chasing buzzwords, don’t hack or try to cheat. For extra money tell your friends and family via Facebook and Twitter and you will receive a bit of money for referring them. Be patient. I may be imagining things but I feel like more ads have shown up for me over time. When I first joined I don’t remember seeing as many ads as I do now. This gives reason for you to be patient. They probably have a daily limit, don’t risk getting banned. Would you rather make £2 clicking alot over 3 days, or £200 by sticking around making no effort over a longer time frame. Your results may vary. You may live in a different country to me (I’m in the UK) and have different searching habits. This may mean you get more or less opportunities to click on ads. You may also get more or less surveys. Please use my case study as proof the website is a way to add to your yearly wage, but understand your results may be higher or lower, the profits aren’t guaranteed. If you want to also use your smartphone try out the official app. I’ve not used it so I don’t know how good it is. Don’t be greedy. They will ban you if you abuse the system. Do you know of any more good tips? Share them in the comments or tweet me @moneycortex. If you have any questions you can also ask them in the Qmee forum section which also contains answers to popular questions. Considering the service is free to use and requires no effort whatsoever I think it is a worthwhile weapon to have in your money-making arsenal. Especially for those are using the drip method, as mentioned above, for long-term profitability. The numbers may be small, but the effort required is tiny and over the years the cash adds up. It really is free money for nothing, sounds good to me! This section if for people not very familiar to the service, here I will cover the main features you need to know about. They pay out very quickly via Paypal. 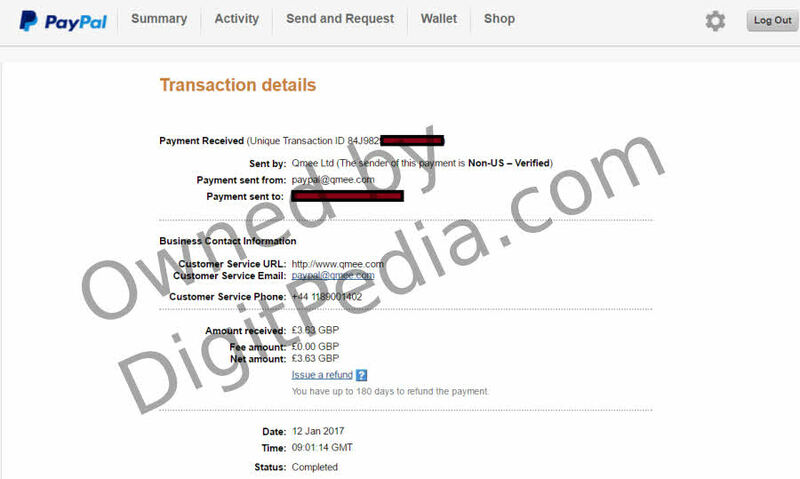 Here is proof of my payment that I received during the test. You can cash out your earnings anytime you want, there is no minimum payout. Please click on it to see it in full-size. The service is mainly available for people in the UK and USA. In the terms and conditions it says people outside of these regions use them at their own risk. I did this test on a desktop PC, however you can go mobile because there is also a smartphone app for Android and iPhone. I’ve not tested those out. For me not only do sponsored results show on Google and Yahoo, but quite a lot come up on eBay. I use the extension on my Chrome browser but you can also use it on Safari, Firefox, and Opera. If you have an adblock installed then don’t worry, it should still work no problem. If you have any problems with it not working then contact support and they should help you out. Every time you want to use the service you don’t need to login, it should stay active in your browser. There are no real alternatives I’m aware of so try your hardest to fix get problems fixed. As well as showing ads you can click for a bit of money, they also show coupon codes so you can get discounts at retailers. Don’t forget to tell friends as well for some referral income. If you think you don’t need the money you earn, you can also give it to charity and receive a boost in karma and feel good as well! If you want to save this webpage for another time please bookmark it or pin this image for later. Hi Chris, very interesting case study! I don’t get so many ads, probably because I don’t look much for keywords that directly relate to a product. I don’t count on Qmee to make money online, but I already earned £15 without any effort. So, why not give it a try?